There are decompilers online, but it would be much easier if the full list of hex changes were present. Is that all of them in the posts above? I'll do the converting at some point. I got a problem. It says that the Damage.dll, hard.dll, hp.dll, magic.dll and publish.dll were loaded. So I cheated and tried to push my hp over 9999 with hp-ups, but nothing changed. 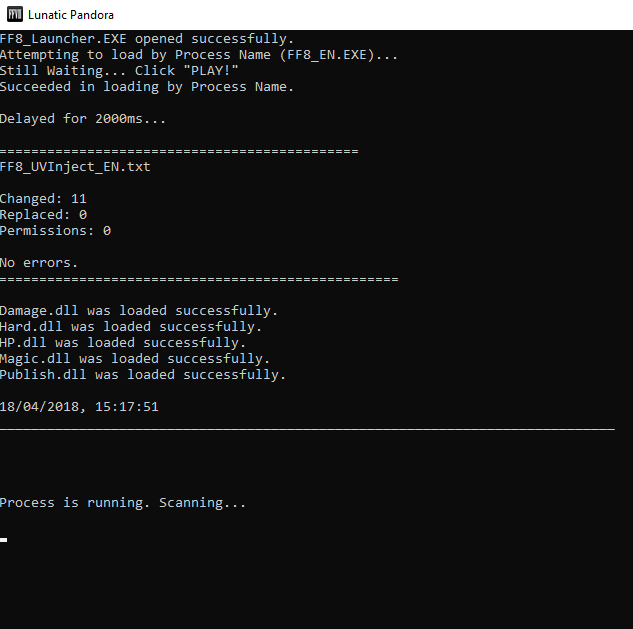 Succeeded in loading by Process Name. Not sure how yours is set up - show me a screenshot of your 'FINAL FANTASY VIII' parent folder. also: You must be using the english version of the mod for your setup. We don't help with support for "unofficial" versions of the game... sorry. He did pirate the game. This screenshot even has proof, including files that are only included with pirated copies. As it happens, after this post he did buy the game and privately provided me adequate proof. The forum rules (which you apparently didn't read) explicitly forbid helping or asking for help with pirated copies. Asking for support for the Ultima Edition or any other pirated version of the game will not be tolerated. Any discussion regarding pirated software is an immediate warning. Assisting people that use pirated software is also forbidden. Pirated copies of games, especially FF7, often have changes to their code that break mods. Our requirement for legal copies is as much to prevent headaches with broken mods as anything else. Square Enix has a long history of shutting down fan projects. They also know for a fact we exist. 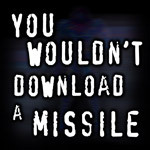 We are fairly confident that our hard stance on piracy is the only reason we're still around. In your failure to read the rules, you apparently also missed the "Don't be a d*ck" rule, which your post clearly breaks. For this, enjoy some time off from posting. I'm having trouble getting this to work, I have the full Lunatic Pandora launcher, it says on the launcher that the files were loaded correctly but they don't seem to have an effect in-game, I tried to raise Squalls HP above 9999 but it just gives the message "Already at max HP" or something like that. 3 Screenshots - as I understood it Lunatic Pandora should have just enabled all of the included mods, the Dll's seem to be loading properly but don't seem to be enabled for some reason. Try changing the delay from 2000 to 7000 in the settings file in HL_Files, and/or remove 'publish.dll' from HL_Files/DLL_in. Let me know if that helps! 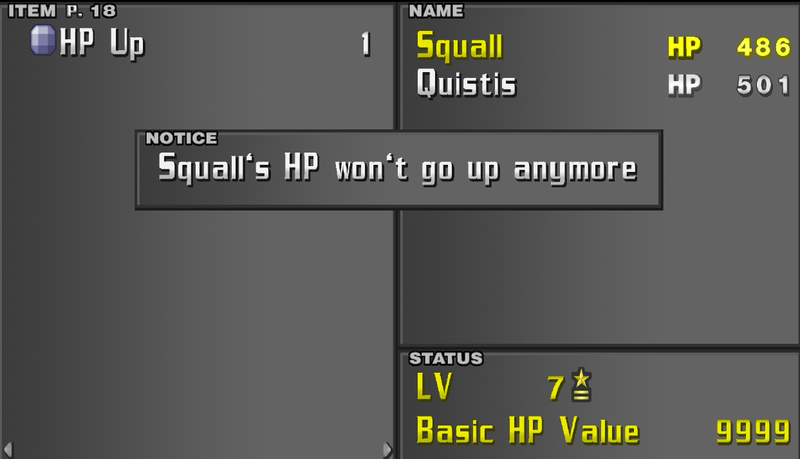 No, still giving the same message that Squall is already at maximum HP while at 9999. I tried changing 2000 delay to 7000 first, it didn't work then - I then tried to remove the publish.dll and that also had no impact. Yeah... unfortunately, no one has converted your hex changes into hext to be used with hextlaunch, and since most people use hextlaunch with ff8 mods (for the UV fix), also expecting them to run cheat engine on top of it is a bit much. For example, I use hextlaunch for the UV fix, Tonberry for texture injection, GeDoSaTo for supersampling, and Reshade for post-processing effects. Adding cheat engine on top of all that is a headache. Would be lovely for people to be able to use hextlaunch for these mods still, but switch to the hex changes instead of the dll's. Do the codes you posted work for all languages? Post the hext file so I can look at the syntax. Note: This assumes global addition +400000 has been set. The same problem was striking my game, log loading successfully but no mod working. But then I noticed something, when opening the game windowed mode, I could see the log working in parallel with the game and saw the log loading a little bit late than the game. So I've opened the Settings.ini from the HL_Files and changed the Delay from "2000" to "100" (havent tried other values but it worked for me). With that, the log loaded faster than the game and the MODs were working all the time. I tried this solution but didn't work for me I also have the Lunatic Pack and have tried different values for the Setting.ini, if I left it at "100" I get errors and none of the mods work, if I leave it at "5000" or "6000" the Magic.dll works at least, I think the Hard.dll and Damage.dll does as well but not very sure, haven't been able yet to reach 9999 of Damage yet during my tests, but the HP.dll definitely doesn't work with any combination I have tried so far. Yeah, the problem is: the developers did not programmed the HP number texture to acknowledge ten thousand and beyond, so it wont even show a hundred and thousand for not knowing the tens of thousands. Visually speaking, 11500 HP will show as 1500 in-battle and menu (until you check status). When you have 20085 HP it will show 85 HP. But its only visual, the game still recognize the rest of the value. I can look like a noob asking this LOL but which paste you put these hext txt? I just created some .txt files with botiks and gaaasstly's hext codes and it looks like they inject without errors. We'll see if they actually work, now! Make sure you remove HP.dll, Magic.dll, Damage.dll, and Publish.dll if you use these! Also - if you're using the UV injector, it has to be loaded first in the order, so I renamed mine with a "1_" prefix. Make sure you set your timer to 7000 to make sure the UVInjector loads properly in conjunction with these other hext files!